Can Picks Make a Big Impact? Can’t I Use Guitar Picks? 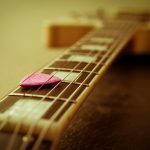 Beginner musicians and mandolin players could be forgiven for thinking that a pick is a pick, and that there is little difference in whichever you choose. A little experience playing will tell you that different picks have different merits, and some are suitable for different instruments. In this post, we explore the best mandolin picks. Your Mandolin may come with picks when you buy it, especially if you purchase a Mandolin designed for beginners. 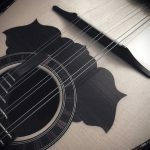 The truth is that just like strings, they play a big part in the sound your mandolin will create, the ease and speed of your playing and the general feel of your instrument. If you’re looking to experiment with some new strings, or just want to know which ones will give you a good, solid tone, we’ve got some pick reviews in this article and expert reviews to help you make a decision. When looking for instrument picks, it usually doesn’t take long to find something made by Jim Dunlop. 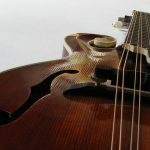 Though these aren’t specifically advertised for mandolins and can be used for other instruments, these have proven to be one of the most popular Mandolin picks on the market. The Sculpted plectra design means that the picks are rounded, unlike V-shaped picks. They are suitable for very fast strumming which is great for some of the faster Mandolin playing and chord strumming. These are also flexible enough to play intricate picking patterns too. The gauge of these is 1.3mm, but there are 1.5mm versions available. They’re relatively thick and this helps to give a bright and clear tone when strumming. The sort of quality we’ve come to expect from Dunlop. A quick look at the reviews on Amazon or elsewhere online shows Mandolin players raving about the quality and feel of these. Some picks for mandolin can be very expensive, but these aren’t, and offer quality at value for money. Some picks can cost $30 or more which is crazy, and these are a fraction of that price. Another tick in the box. These are picks made specifically for your very instrument, the Mandolin. Tortoise-style picks are popular, and the thick and heavy design fits the bill perfectly. On top of that, rounded edges mean that the tremolo and attack of your playing are exactly as you would wish for a Mandolin. Sold by the dozen, Golden Gate picks work out very affordable per piece, and a great alternative to those super expensive picks already mentioned. One reviewer has noted how great they are for tremolo picking, and the fact that this intricate way of playing is easier with the rounded tips. They also don’t make hitting single notes any tougher either. This reviewer also noted how one pick lasted for a month with no noticeable wear and tear, so you can see how these are an investment for the longer term and aren’t likely to let you down after a few plays. It is worth noting that the awesome golden gate design over tortoise background is very cool. Looks are never our primary concern when writing any ‘best of’ list here at Subreel, but lets face it they are a nice bonus. Pickboy! Not just a cool name, these are some great picks. They’re a thinner model than a lot of the others we’ve reviewed, so if you prefer a thinner, flexible pick these could be for you. The interesting heart-shaped design is an innovation that has proved popular with some players who enjoy the feel and flexibility for their playing. A medium thickness pick, sold in packs of 10. 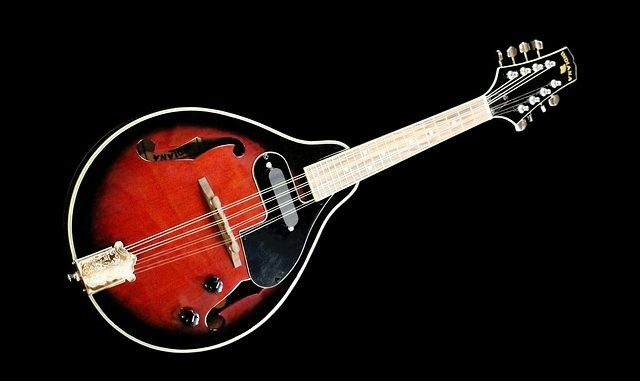 The Pickboy mandolin is great for fast playing and has a huge amount of positive reviews from Mando players the world over. Worth your consideration if you don’t want something super thick. D’Andrea isn’t a household name, even for musicians. However, this is another plectrum or pick worth your consideration. It is one of the thickest on the market at 1.5mm and gives a rich tone for strumming whilst retaining some flexibility. Another product with a whole load of five star reviews from Mando players, and if you prefer a thicker pick then the D’Andrea could be your best bet. Of course, Fender products are hugely popular. At your local rehearsal room or music store they are probably going to be the most common. Whilst we haven’t chosen a specific Fender pick to recommend, the thicker gauges do a fine job with Mandolins. Picks aren’t that expensive, and which ones you prefer isn’t always an exact science. It is worth ordering multiple just so that you get the chance to experiment with a couple of different thicknesses and sizes. It is always worth auditioning picks to find out which suit best. Ask any Mandolin player, their picks are an important consideration. 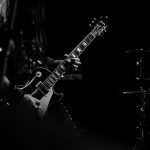 What can seem like a mundane thing from the outside looking in can make a huge impact on the sound and the way in which an instrument is played. When you think about it, they are a key cog in the process, and can even make you a better player. Okay, they won’t turn you into a maestro overnight, but the right pick is a step in the right direction. You have to get the basics right, as explained in the video below. The truth is that there isn’t a huge amount of difference. Many picks can serve the purpose of both guitar and mandolin or even other instruments. While most people prefer a more rigid ‘V’ shape to the other, rounded shapes of guitar picks, I find that the main thing is ensuring you have a medium or heavy gauge of pick. Thin picks are rarely preferred by Mandolin players. It can seem like a small thing, but attention to detail can provide that extra five percent that turns a good player into a great one. 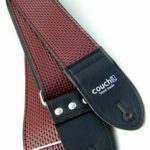 It all goes toward your own individual style, and as already mentioned, we strongly recommend trying at least a couple of different models of pick, styles, and thicknesses in order to work out which you prefer. If you have anything to add to the discussion or your own experiences with picks, feel free to leave a comment below.